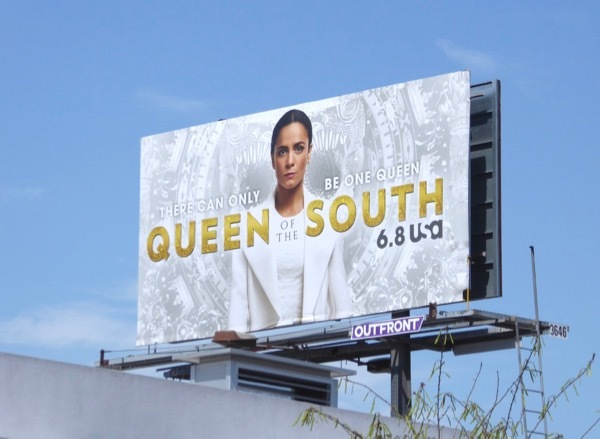 This summer Alice Braga returns to the small screen as 'Teresa Mendoza' for the second season of drug cartel drama Queen of the South. 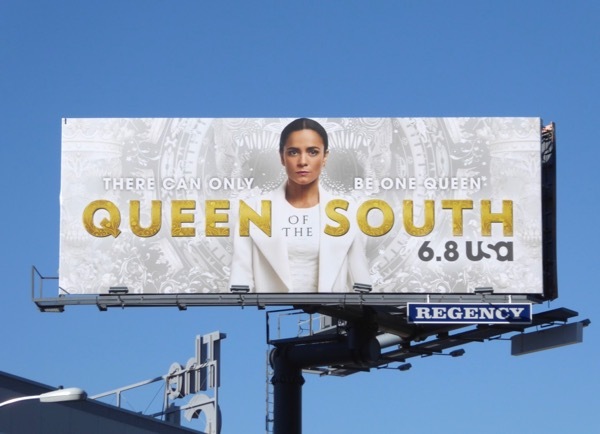 After the death of her drug-dealing husband, the Mexican woman spent the first season on the run making unexpected alliances to get to the Dallas drug cartel to exact her revenge and ascend to her throne as Queenpin. 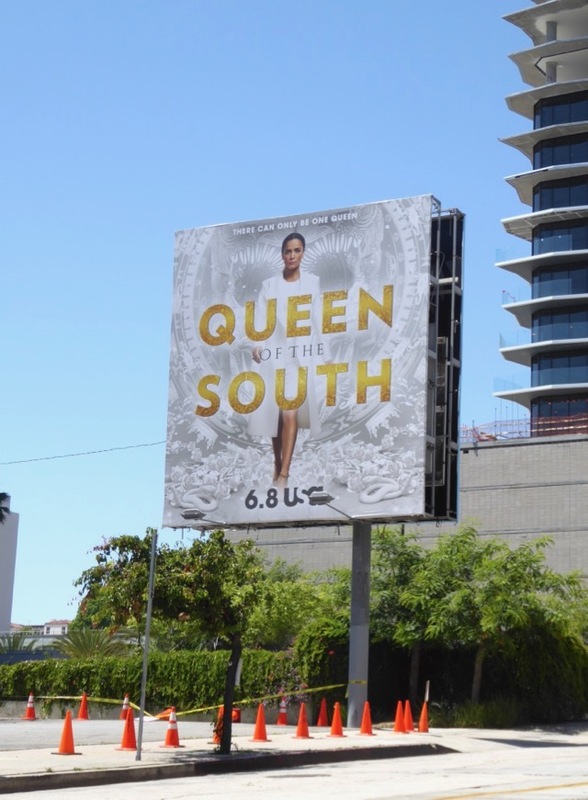 Just what will the future hold for the series adapted from the Telemundo show La Reina del Sur based on the book of the same name by Spanish author Arturo Pérez-Reverte? 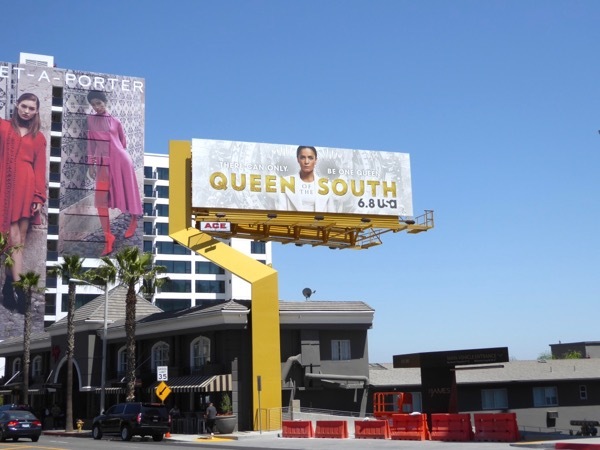 These striking sophomore season billboards were first captured above West Hollywood's Sunset Plaza on May 20, then further east along the Sunset Strip and along La Cienega Boulevard and Argyle Avenue through May 28, 2017. 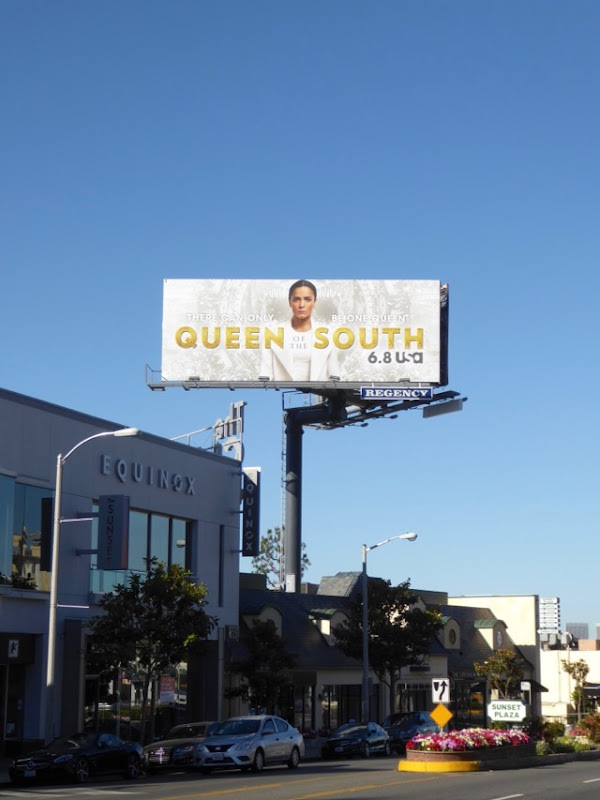 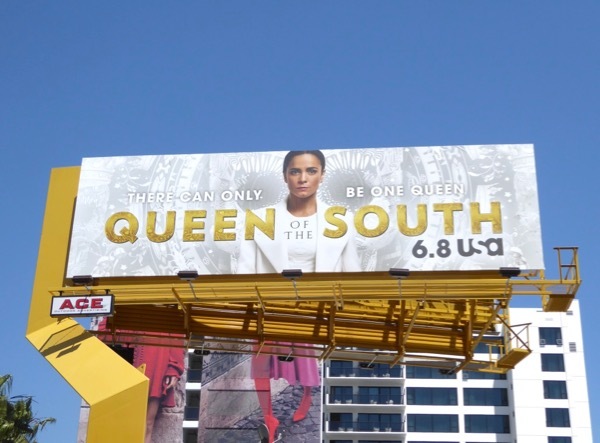 Fans of the USA Network show can also enjoy these colourful Queen of the South season one billboards. 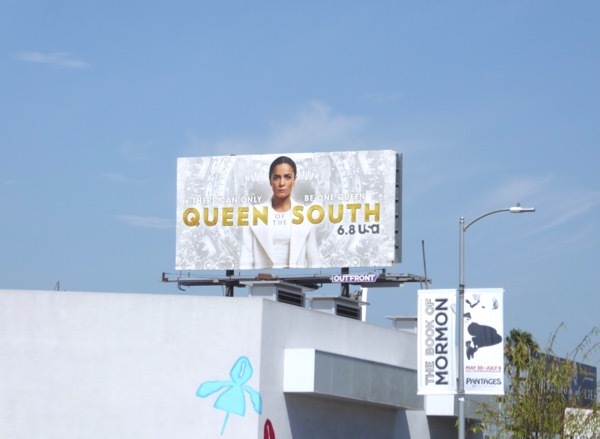 For royalty of a different kind, be sure to also check out these billboards for The Crown, these billboards for The White Queen and these TV billboards for The Royals. 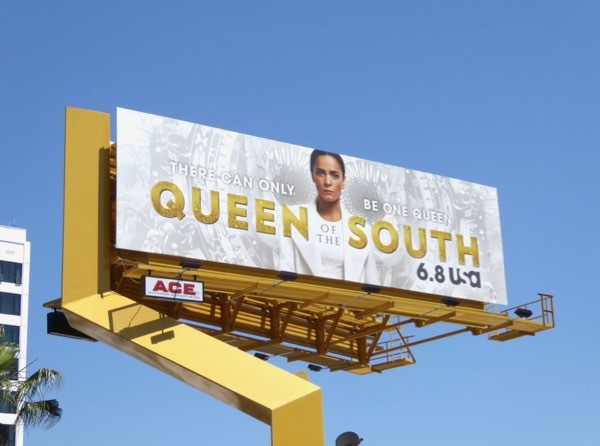 It's true what they say, 'there can only be one queen', and sometimes you have to be ruthless to stay on your throne and rule your kingdom, however corrupt.